A Tennessee Bureau of Investigation agent has died following a shooting in Jackson, Tennessee making him the first TBI agent to die in the line of duty. A suspect has been charged with murder in the case. The shooting happened during a controlled drug buy near Brianfield Cove about 2 p.m. Tuesday. 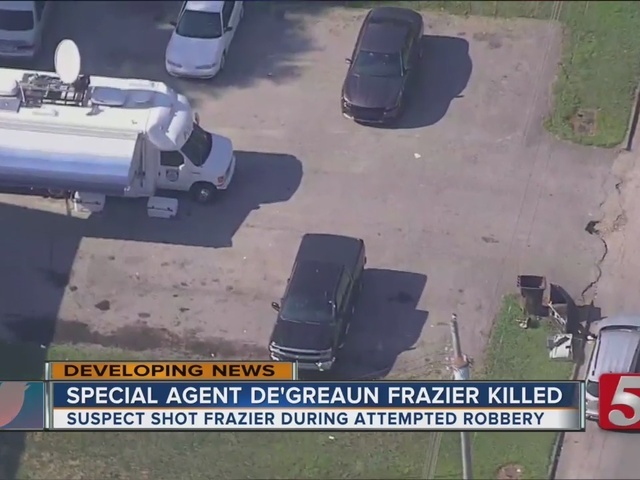 Special Agent De'Greaun Frazier, age 35, was killed in the line of duty. On Wednesday morning, the TBI confirmed the suspect's identity as 23-year-old Brenden Burns. He's been charged with one count of murder in the perpetration of attempted aggravated robbery. 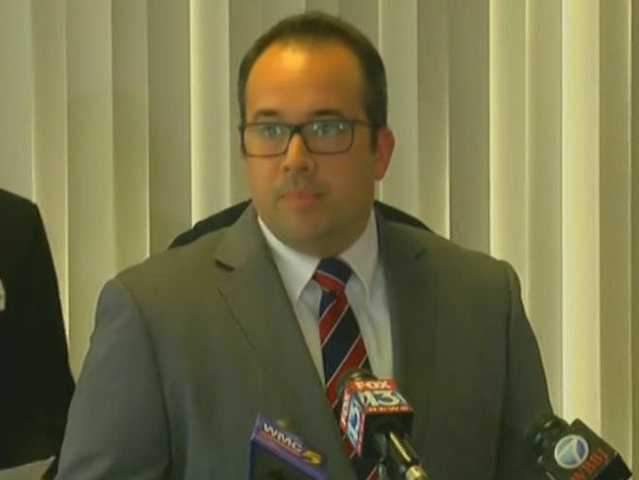 Josh DeVine with the TBI said in a press conference Tuesday that Frazier was one of several agents assisting Jackson Metro Narcotics unit during the buy. Burns - who was in the backseat of Frazier's car - allegedly pulled out a gun and tried to rob the him and an informant who was in the front passenger seat. He fired the gun once, hitting Frazier. He died at Jackson-Madison County General Hospital. Shortly after the incident, police officers nearby arrested Burns in the Tinker Hill Cove area of Jackson. He has officially been charged in the case. DeVine said the TBI would continue to investigate the shooting. "This has been one of the toughest days in our agency's history," said DeVine. This was Frazier's first year working with the TBI. He joined the agency after serving as a Millington Police officer in which he also served on a DEA task force. "Agent Frazier was exactly what we look for in a TBI agent," said Mark Gwyn, Director of the TBI. "He was hard- working, enthusiastic and dedicated to making Tennessee a better place to live." Gwyn asked for people across the state to keep Frazier's family in their thoughts and prayers. Several law enforcement agencies and lawmakers across the state offered their condolences on social media. Governor Bill Haslam tweeted, "Hearts are heavy tonight for loss of @TBInvestigation Agent De'Greaun Frazier who died serving, protecting TN. Prayers to his family, TBI." Burns was being held in the Madison County Jail without bond.